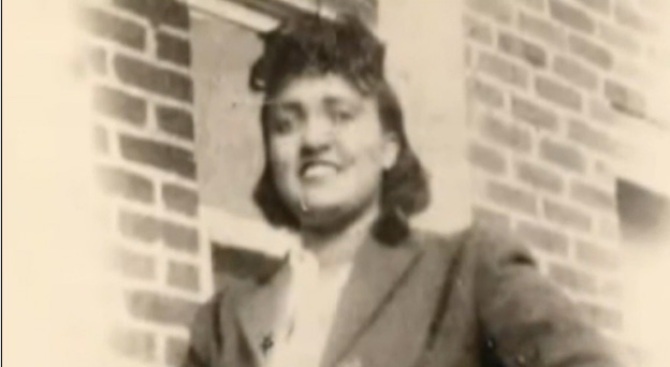 Henrietta Lacks has saved a countless numbers of lives, and that was after she died from cervical cancer in 1951. More than six decades ago, cells from Lacks’ body became the first human cells to ever flourish in a lab. Her descendants on Thursday visited the City of Hope National Medical Center in Duarte to see close up the impact their ancestor’s contribution continues to make. Lacks was 31 years old when she died. At the time, she had no idea that her cells would be harvested for research. Dr. Linda Malkas, of City of Hope, launched her career studying what are known as "HeLa" cells, a name with a nod to their origin. On Thursday, she gave Lacks’ relatives a tour of the lab. Lacks’ son David and granddaughter Kim flew to Los Angeles from Baltimore, and were eager to learn more about the legacy of their long lost relative. Kim Lacks said she is proud "to know that the same blood tissues they’re using for this research is actually flowing in (my) body." David Lacks was 4 years old when his mother died. "I have heard she was a giving person, she was a loving person," he said. "So, I’d imagine she would’ve given her cells to science." Since 1951, HeLa cells have helped in creating the polio vaccine, chemotherapy, cloning and in-vitro fertilization. In 2010, journalist Rebecca Skloot wrote a bestselling book about the history of experimentation on African Americans called "The Immortal Life of Henrietta Lacks." Doctors treating Lacks’ cancer gave a sample of her tumor to Dr. George Gey, a researcher at John Hopkins Hospital. He had until then been searching in vain for cells that would live indefinitely in culture so researchers could experiment on them. Lacks’ cells did just that. Neither Lacks nor her relatives knew this had happened. "These cells are not just important for research in the United States, they’re used around the world," Malkas said. Malkas and her colleagues are using HeLa cells to develop possible cancer fighting therapies. She told the Lacks that their mother and grandmother is the ultimate example of how we're all connected.